La Niña Ready Nations (LNRNs) is a portal site about La Niña. We provide the information about recent news and how to prepare for this ENSO event. What can you learn from La Niña Ready Nations? Who maintains La Niña Ready Nations? 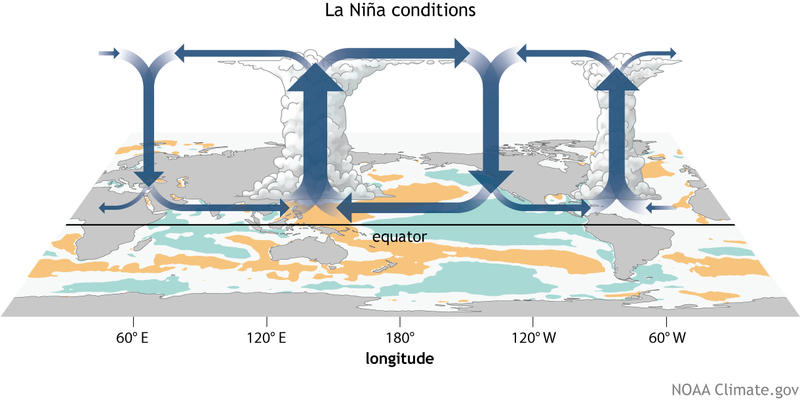 Why do we care about La Niña? We care about La Niña because it creates many serious impacts around the world. The major impacts observed include flooding, droughts, and more extreme versions of impacts that are regularly observed during ENSO normal. We believe that it is important for us to get ready for La Niña in order to secure livelihoods and minimize the impacts to effected individuals. The mission of this website is to educate users about La Niña and inform them with recent news from around the globe. This site aims to prepare users to be knowledgeable about how to prepare for the negative impacts of La Niña. To create awareness about La Niña and foster knowledge about the topic. To get information about impacts and adverse water, weather and climate-related hazards about La Niña disseminated to people who might benefit from that knowledge. Enable meteorological services, governments, NGOs , individuals and others to know about La Niña’s impacts around the world. Who maintains La Niña Ready Nations Website? The Consortium for Capacity Building (CCB) is an educational, outreach, and networking organization at the University of Colorado – Boulder. CCB maintains and updates La Niña Ready Nations website with the latest information on La Niña and the ENSO cycle. USAID also supports CCB in their projects to reduce impacts to livelihoods of users and create awareness about the functions and hazards associated with a La Niña event. Please see the staff and project affiliates pages for the member listing. CCB is located on the East Campus of the University of Colorado, Boulder in the Institute for Arctic and Alpine Research (INSTAAR) division. Please see the Staff and Project Affiliates page where you will be able to find participant contact numbers and email addresses.